MFAH Films is proud to participate in the global tribute to Swedish filmmaker Ingmar Bergman (1918–2007) this year. To commemorate the 100th anniversary of his birth, we present a series of his films from August 24 to September 23. As I’ve been discussing Ingmar Bergman’s Cinema: A Centennial with people, I’ve encountered a range of responses: Excitement (the best response! ); audible expressions of awe and respect; moments of seemingly existential thought; references to the iconic chess scene in The Seventh Seal; and chuckles recalling the parody short The Dove. My own earliest encounters with Bergman’s films were excursions during high school to the New Community Cinema in Huntington, Long Island, and obsessive repeat viewings of Cries and Whispers at the Nugget Theater in Hanover, New Hampshire. The month-long tribute in Houston—one of the largest in the United States this year—will undoubtedly provide memorable experiences for our audiences. The MFAH, which hosts 15 films in the series (some on 35mm), and Rice Cinema, which contributes five, screen vivid new digital restorations courtesy of the Bergman Foundation and the Swedish Film Institute. But where to get started with such a massive celebration? Here are a few strategies to plan your Bergman immersion. On August 23 from 5 to 8 p.m., the Museum’s Happy Hour Thursday embraces Bergman with two specialty cocktails, appropriately named Wild Strawberries and The Seventh Seal. Join us for a toast! Bergman’s filmography is so vast that both venues have double features! At the Museum, pairs of films are back-to-back on August 24 & 26 and September 16 & 22; at Rice Cinema, on September 8 & 9. Rice Cinema transports us to Fårö Island—Bergman’s treasured home, a small island off of Sweden’s southeastern coast—from September 7 to 9. Opening night at Rice features a very knowledgeable speaker: Jan Holmberg from the Bergman Foundation in Stockholm. 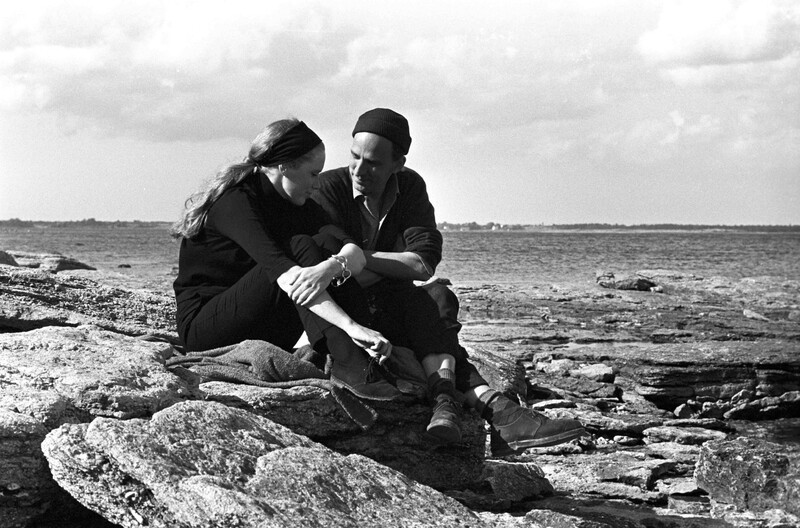 Liv Ullmann and Ingmar Bergman are the subject of the 2012 documentary Liv & Ingmar, which screens on September 16. The weekend of September 14–16, the Museum spotlights performances by the extraordinary actress Liv Ullmann, star of many of Bergman’s films. In the documentary Liv & Ingmar, Ullmann speaks about their collaborations and relationship. When you come to films at the MFAH, please allow time to take in the large-scale time line of Bergman’s life and achievements, which also included theater and literature. Our colleagues at the Consulate General of Sweden in Houston provided the banner, which hangs on the wall outside the Brown Auditorium Theater. Ingmar Bergman’s Cinema: A Centennial comprises 15 screenings at the MFAH from August 24 to September 23! See the full lineup and get your tickets in advance.